Scotch whisky, originally made from malted barley, evolved from a Scottish drink called uisge beatha, Gaelic for "lively water" or "water of life". Though nobody knows when or how whisky first came to Scotland, according to the Exchequer Rolls (records of royal income and expenditure) of Scotland, Scotch whisky was first legally distilled in 1494. There is an excellent history of Scotch whisky here. Scotch whisky is made from malt or grains, is distilled as either single malt, single grain or blended whiskies, must be made in Scotland and must be aged in oak barrels a minimum of three years. What's the deal with whisky versus whiskey? It's all a matter of geographics, the Scots prefer whisky while we Americans and the Irish use whiskey. As for bourbon versus whiskey that's another mash-up. 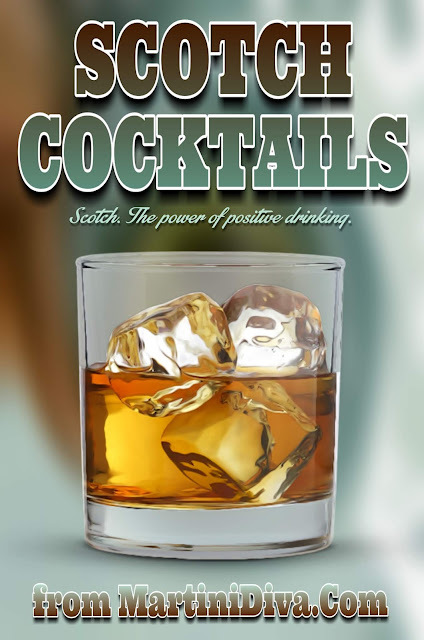 National Scotch Day is July 27th, International Scotch Day is held in February.